When planning your ultimate mancation, it's important to not just do the same-ol' stuff you did last year. Instead, maybe try adding something new to the itinerary that will create new memories while celebrating the men that came before you. I can't think of anything more manly that working underground in a mine searching for treasure, so here's our picks for some of the best places in the world where you can go underground explore a real mine! This part of Pennsylvania has seen a resurgence with the release of Man in the High Castle, Season 2. However, locals know that Lackawanna Coal Mine is one of the best mines to explore. The tour takes you 300 feet below the earth through an anthracite coal mine originally opened in 1860. Unfortunately there are no experiments going on here to explore but you'll learn a ton about how coal is mined as well as the people that once worked here. This coal mine and museum is located in Lansford, Pennsylvania and you'll be able to go underground into a coal mine that opened in 1855. This tour includes a 1,600 food rail ride into the mountain and opportunities to see various aspects of mining life including the miner's hospital, mule-way, and the original 900-foot elevator as well as the "Wash Shanty" where the miners would wash their clothes and equipment. Open all year, this tour takes you by mine train through the mine tour as a friendly guide imparts some of the mines most fascinating stories. You will see working mucking machines and drills Tours are formed on a first come first served basis so arrive early to ensure your place. While you wait, enjoy visiting the museum and panning for gold before or after your tour. Once a booming gold and silver mining town, Virginia City, Nevada is now a museum, an entire town frozen in time where visitors can enjoy old time saloons with modern day spirits and touring the Chollar Mine and Best and Belcher Mine. The Chollar Mine tours are May through October. Visitors experience the mine on a 400 foot level walking tour and see where $17 million of ore was mined. The Ponderosa Tour of the Best and Belcher mine is open year round weather permitting. The guided tour lasts 25 minutes and treats visitors to all the mine characteristics including shafts, tunnels, drifts and more. Underground tours for the National Coal Mining Museum for England fill up fast and there are only two reserved tours a day. After you are fitted with your miners hat and battery lamp, and getting your brass and signing for the traditional miner's check, you will descend in the cage to a depth of 140 meters. There you will "Meet a Miner" and enjoy a tour led by a former miner. There are accommodations for non-electric wheelchair users and there are also wheelchairs onsite. 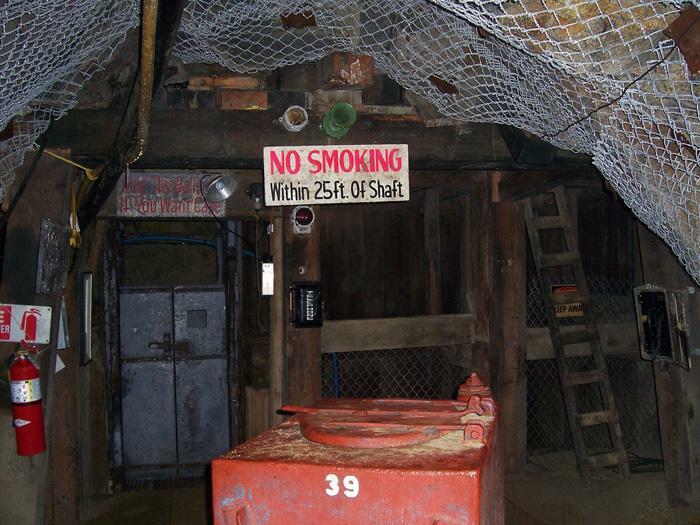 The Mollie Kathleen Gold Mine Tour opens each spring but is closed during the winter. The mine is the only mine with a 1,000 foot vertical descent. Hardhats and jackets are provided. This tour has underground lighting. The tour includes tram rides, skip ride and walking. During the half hour tour you will learn about mining history and how it has evolved. You will see gold veins as they appear naturally in the mine and experience the sights and sounds of mining equipment. Your tour will include a gold specimen from the mine. The Iron Mountain Iron Mine in Vulcan Michigan opens for the season on Friday, Memorial Day Weekend 2017. 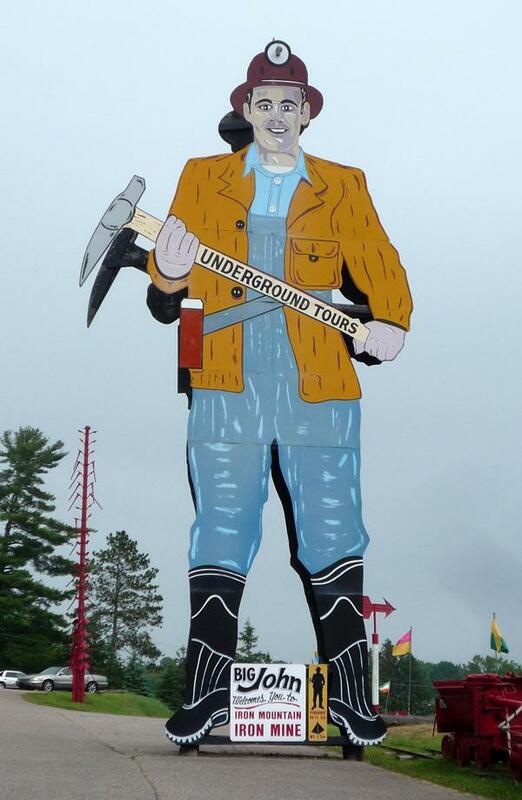 This mine incorporates Jimmy Dean's famous song about a miner, "Big Bad John," into its tour and memorialized the fictional giant in a towering sign of Big John that points the way. The mining tour travels 2,600 feet 400 feet underground. This tour has an underground train that visitors ride as they into the mountains stopes and drifts into the exploratory tunnel. Tours are led by experienced, knowledgeable guides, many of whom worked in the mine when it was in operation. 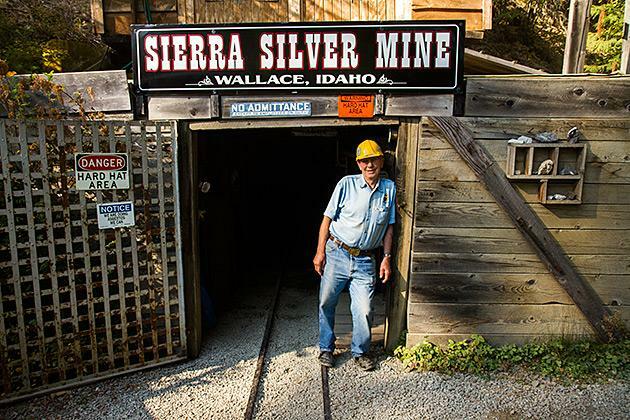 The Sierra Silver Mine Tour explores the history of hard-rock mining in the richest silver district on earth. Tours are led by a retired miner who can relate personal stories as well as the history of this mine that was original opened in 1900 and later operated until 1982 as a lab site to teach local high school students mining skills. 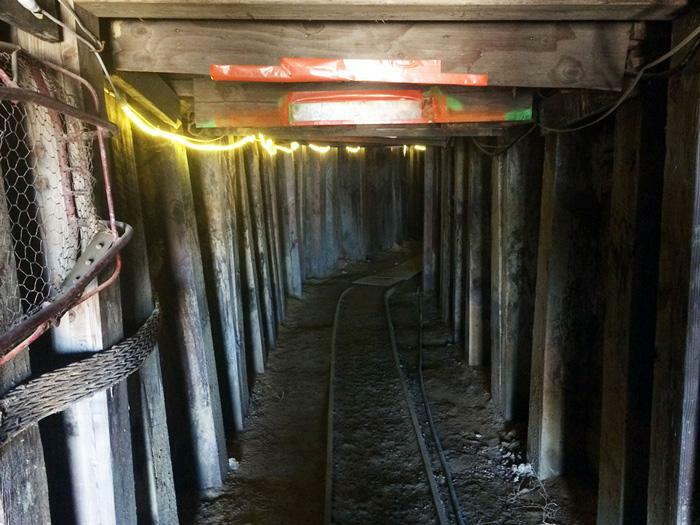 Tours not only walk through the mine shaft but also get a demonstration of the actual pneumatic mining equipment used by miners - one of the only places in the country with an actual live demonstration like that. This underground mine also know as the Phillips-Sprague Mine is located in Beckley, West Virginia. The mine opened in 1889 and was operated as a drift mine but mining operations ended in 1953 and the property was sold to the city. In 1962 though the mine reopened as the Exhibition Coal Mine and was the first historic site in the United States dedicated to educating the public about coal mining. The mine tour takes 35 passengers on a tour of a vintage coal mine via "man trip" (mine train). In addition to exploring the 1,500' mine tunnels underground, and the 3,000' of vintage track, visitors will be able to tour the restored coal camp buildings located on the ground above. 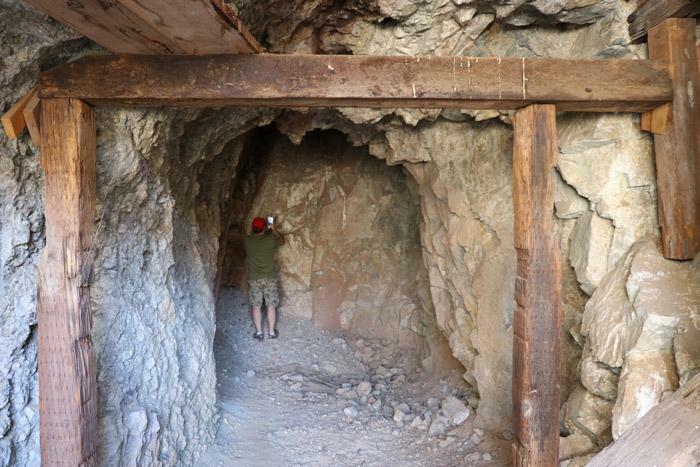 Inside of Joshua Tree National Park and the adjacent BLM land there are more than 100 abandoned gold mines including some tunnels that you can still explore. We do NOT recommend exploring these tunnels though as the rocks and bracing are not restored, the area has frequent geological disturbances, and timbers are in some cases nearly a century old. However, it makes for a great opportunity to explore the history of mining on your own in an authentic way. If I'm missing your favorite underground mine tour, mining museum, or other time of mine tour, please comment below and I'll check it out. Thanks for helping me create this list of mine tours!